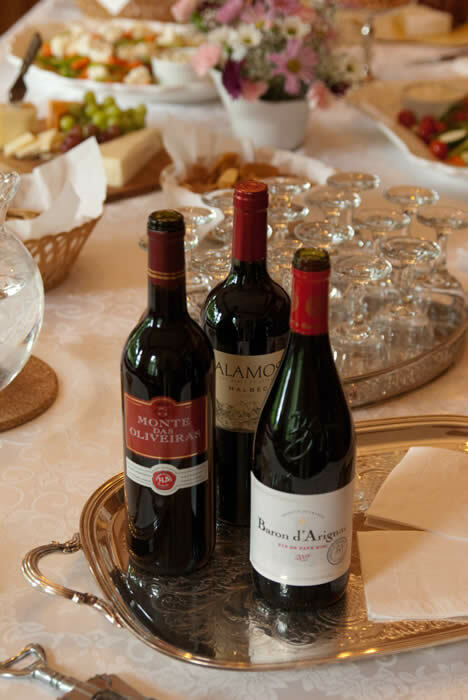 Your private events will be even more special in an elegant setting and at The Governor’s House in Hyde Park, you will find elegance is very affordable. Whether it’s a wedding, birthday party, family reunion, afternoon tea, shower, or weekend of adventure, someone here is ready to help with all the details. 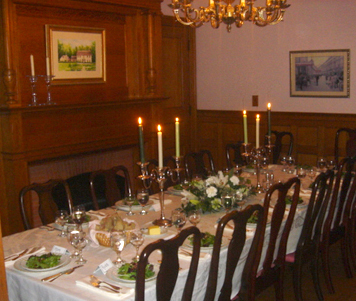 Use the library, the dining room, the back portico, or the entire inn for your very special private gathering. We will create a menu to suit your individual needs. 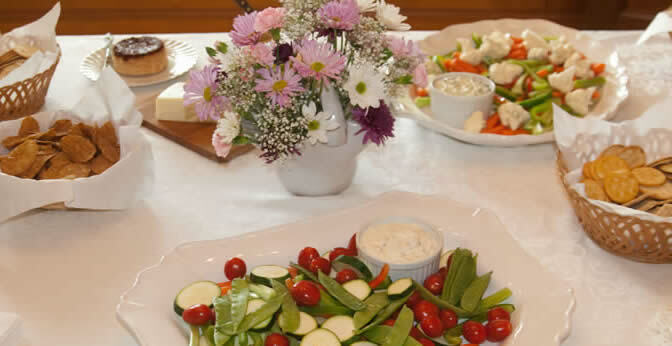 The Governor’s House is ideal for family celebrations, reunions, bridal showers, intimate weddings, or just getting away together. Family meals are tailored to your individual tastes. We can provide birthday cakes, pack picnics, and help organize all kinds of activities for family members of all ages. 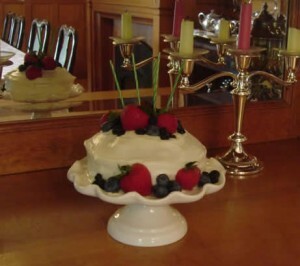 Planning a special birthday celebration? Simplify your life with our Birthday Package with room discounts and a private dinner for one to twelve guests. Perhaps you are a small group who would enjoy your own Jane Austen weekend. 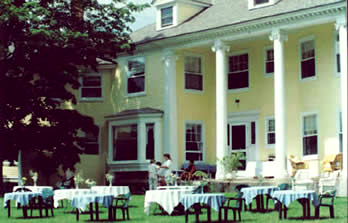 You arrive at the front door of the Governor’s House from the charming Village of Hyde Park, but walk through and out the back door onto the portico with thirty-foot columns and you’ll see only the private sheltered lawn with a backdrop of the Lamoille River Valley and Vermont’s Green Mountains beyond.